In the wake of the shocking abuse allegations levied in Lifetime’s ‘Surviving R. Kelly,’ the singer has been slammed left and right. Indeed, on an almost daily basis, both the public and his peers have been condemning the fallen 52-year-old. 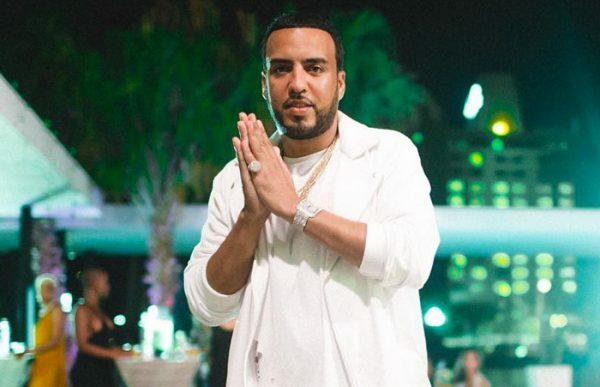 However, he appears to have found an ally of sorts in the form of rapper French Montana. TMZ caught up with the MC last night and quizzed him about the topic on everyone’s lips and his words will no doubt surprise many. He also seemed to imply that the “take down” was the result of a higher agenda and drew connections to Michael Jackson – this, despite the latter being cleared of all charges. Granted folk are entitled to their opinions, there’s something woefully worrying about the stance French appears to express. One which, on the one hand, seems to acknowledge the possible validity of the accusations, yet one that simultaneously minimises the heinous acts in the name of maintaining a musical legacy. He’s saying this because he’s a s** trafficker. French Montana that is. Why do people have a huge problem with other people not sharing the same opinion as them these days? Since when is a difference of opinion “problematic”? We live in times when people think they can control others opinions, and thoughts, what they listen to, and what they watch! Now that is what is “problematic.”! So Supporting a phedophile is just a difference of opinion to you? Yes it is. I do not have to support or be against anyone just because you are. That is my right and my opinion. Furthermore, name calling someone “phedophile” is an opinion. In my opinion he is not a pedo because there has been NO allegations from underrage girls in 20 years. I believe in foregiveness. And I suppose O.J was innocent just because the jury found him not guilty right? You’re that guy that blindly believes despite all the red flags….. just because witnesses have not come forward – the fact that so many people heard he liked the things he did and his reputation for being predatory preceded him is enough to indicate something clearly wasn’t right. Would you trust your sister or daughter around him just because there has been no guilty verdict?? NO – because guilty people get away with shyyt ALL the time. In the end the evidence will find its way to light and you will see you were wrong. OJ had criminal charges. Kelly does not have criminal charges and has consistently not had criminal charges the past 20 years. You will see you were wrong. The truth will come to light. A whole 6 hour long documentary was done and NOT one single underrage accuser was interviewed. Jasmine you’re an idiot. What’s “problematic” is that you can’t decipher clear right and wrong. It’s time to ya head checked. I guess the jury in his 2008 trial, the judges, the district attorneys, and all of his fans must “need our heads checked” because you say so. F.uck you. Get off Kellz’ nuts. Why is it always a female that defends an opinions that doesn’t protect them?!?! Why do people seem to think they can have opinions but no one can have opinions about their opinions? Why is it people think right to an opinion or free speech gives them an escape from consequences. People need to read up on their rights to free speech it doesn’t protect a number of “opinions”. What do you think about Elvis? Should his music be muted? What do you think about Ed Buck, Kevin Spacey, John Travolta, Liberace, etc. Yes what Elvis has done is not right but if you want to compare was 50 years ago (out of compare at the time a woman in the us couldnt even inherits her father’s money or properties)..and Elvis ONLY MARRIED HER when she was 21 although they meet when she was 14. If you want to compare his situation with someone the most similar is Woody Allen and we all know he’s only free cause his “sick daughter wife” protects him but since 2012 he’s been blacklisted from almost every major event and award show in Hollywood. What do you think about Ed Buck, Kevin Spacey, John Travolta, Ryan Phillippe, etc. What Kelly did was 20 years ago. What these white creeps did is present day! When will you understand that just because others did something similar it won’t excuse what your p******** did? Btw Ed is a KILLER..
Spacey is at the moment about to stand in trial and Travolta I’m sure will be soon at least I think the masseuse guy pressed charges. We just want justice every single one of them should be jailed and stop trying to make this a racism issue its not. People just want to have all these creeps behind bars. Yes. Because problems like racism, sexism, Sexual assault, Sexual abuse, homophobia, pedophilia etc. are all just matters of a difference in opinions and the rest of us should not have “a huge problem” with people who believe in them. Even if these “opinions” have living breathing human victims. 🙄 Sis, your parents/teachers failed big time. No yours did because you blindly do not see how racist you are. The same energy spent on attacking R. Kelly, a man with NO criminal allegations in the past 20 years and present, and the silence you exert on white devils like Ed Buck, Kevin Spacey, and John Travolta is very telling how lowdown racist you truly are! Yes. Because you know how much energy I spend “attacking” R Kelly in comparison to white men that no one was talking about. Now, This is probably not the first time you’re hearing this so I hope you receive it, but you could stand to read a few more books and eat a few more walnuts. Being willfully stupid is a character flaw. Fix it. And to everybody else, THIS is why sobriety during pregnancy is important. The only people who need fixing are those who think a man with no criminal allegations or convictions should be in jail. I think just like the district attorneys who realize unless an underage victim comes forward Jelly should be freeto live his life. All the women in that documentary are useless todistrict attorneys because they were too old and non credible. Don’t come for my intelligence or morsls. I don’t drink alcohol and no one in my family does either so get lost with that. Perhaps if you thought more like an attorney and less like an idiot you would see the bigger picture….there is an agenda to destroy all black male legends and black gays and black women (the most undesirable people on this planet) are being used to do the white man”s dirty work. Being a sexual predator/abuser is not only a legal crime, it’s a social one, with social consequences. When you are socially deviant, and your behavior doesn’t align with the moral center of that society or culture, the public can and will decide to socially penalize you. It doesn’t matter if he wasn’t convicted. A conviction is not and has never been necessary for criticism and you don’t have to be a convicted criminal to be worthy of reproach. Sis, you have no business here. I can assure you that the most undesirable people on this planet, are those of your kind. If you don’t want to be called stupid, don’t be. Fix it or get over it. Because someone, somewhere, along the course of your rearing and upbringing, failed miserably and the rest of us are paying the price. Whoops you can do whatever you want to do. My issue is the attacks on people like me who are attacked for not agreeing with you. Name calling me “stupid” because I do not agree with you is certainly an unwarranted attack. Without proper criminal procedings in a court of law the people like you are just running with what you are spoon fed by the media. Essentially, you think what the white media wants you to think just like a PUPPET. Now with R. Kelly, what this comes down to is what age to people consider one an adult and that is going to very greatly from person to person just like it varies legally from state to state. In GA, the legal age of consent is 16. In IL, the legal age is 17. R. Kelly is not breaking any laws by dating younger WOMEN. HE HAS HAD NO ALLEGATIONS OF UNDERRAGE GIRLS IN 20 YEARS. There is NOTHING in me that needs to get “fixed.” You need to “fix” your desperate need for others to validate your opinions. I don’t have to validate your opinions nor do I ever seek validation on my opinions. Now I said what I said and ain’t sh|t you can do about b|tch so don’t u ever f.ucking call me names or try to demean me because I don’t tolerate that. F.uck you b|tch. When you see me comment don’t even speak to me. You are not worthy to speak to me b|tch. Keep seething and staying mad cause ain’t sh|t you can do about the King of R&B’s REIGN. He is doing a world tour this year and releasing a new album. I didn’t call you stupid because you didn’t agree with me. You not knowing why I called you stupid is precisely why you’re stupid. You can’t even find the error. And me pointing out this mental deficiency you have wasn’t an attack. It was an observation. If you don’t like it, stop being stupid. Stop demeaning yourself for being what you don’t want to be called. And validate my opinions? Hun, think long and hard. If I think you’re stupid, Why would I want YOU to validate my opinions??? Lmao, you’re a joke. Stop embarrassing yourself and get the help you need. There’s no shame in that. Any black women cosigning R. Kelly and other black men be jailed may want to reconsider. 70 percent of black women are still single. That means don’t nobody want yall but black men so the more that gets locked up the less chances you have at finding a man. So by your logic we should let criminals and p********* stay out of jail so you can find a man? A man that will no doubt do the same crimes to you and your children and you clinically ok?!?! You are trading your morals for man?!? I can see your parents didn’t raise you well. They clearly told you the height of happiness was being with a man. They lied! The height of happiness is being married to a rich man with no pre-nup. I already accomplished that 3 years ago!. So by your logic we should let criminals and p********* stay out of jail so you can find a man? A man that will no doubt do the same crimes to you and your children are you clinically ok?!?! You are trading your morals for man?!? I can see your parents didn’t raise you well. They clearly told you the height of happiness was being with a man. They lied! The height of happiness is being married to a rich man with no pre-nup. I already accomplished that 3 years ago! Terrible thing to say. Glad I’m not a fan of his. Disgusting!! And that’s why your career is where its at… haven’t heard from him since Pop That. French, the problem is that by saying whatever happened, happened is turning a blind eye to the fact that it still could be happening. You forgot to say your favorite perv is very nervous and having panic attacks…afraid much his crimes are going do catch with him? Oh my favorite perv is and always be Michael Jackson, the King of Pop. I love R. Kelly, the King of R&B 4th or 5th on my list of artists. Most of the ish I write is pure sarcasm if you haven’t figured that out yet. I am truly about good music not these people”s personal lives. Well tgj shouldn’t be surprised as this blog reported on how he really feels about Black women almost 2 years ago. French is 100 percent correct. Unless you are the law then shut up! Jelly has had no underage accusers in 20 years. He went to trial, was found not guilty, and learned his lesson. Leave him alone! R. Kelly is the highest selling and has the best discography in R&B but while I still listen and enjoy the music he still does need to pay the consequences. As critics and fans alike rave over Jennifer Lopez‘s latest, ‘Medicine’ (featuring French Montana), the triple threat diva has gone into overdrive on the promo front in the tune’s support.